As demographics and buying power shift, diversity has moved from being a fairness issue to also being a significant business driver. In a multitude of research studies, diversity in senior management has been linked to superior business results, leading to higher returns, lower risk, greater long-term focus, increased innovation and improved stockholder returns. Despite this, progress in corporate America has stalled. 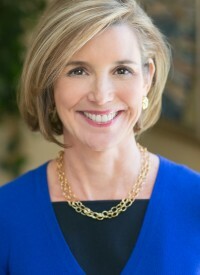 As a former senior Wall Street executive and now owner of the professional woman’s network, 85 Broads, Sallie Krawcheck provides unique insights, based on real-world experience into how companies can improve their diversity results. Sallie Krawcheck has been on the front lines of financial services for the past two-plus decades. During that time, she has led and managed complex businesses through some of the most volatile markets in history. At the same time, she has had a front-row seat in working directly for seven financial services CEOs, at all points in their career spectra, gleaning important insights into leadership during crisis on what works and what fails. Offering sharp insight, laced with humor, Sallie Krawcheck lays out the most important lessons in leadership, and particularly in leadership under fire. Krawcheck has been on the front lines of financial services for the past two-plus decades. During that time, she has led and managed complex businesses through some of the most volatile markets in history. At the same time, she has had a front-row seat in working directly for seven financial services CEOs, at all points in their career spectra, gleaning important insights into leadership during crisis on what works and what fails. Offering sharp insight, laced with humor, Krawcheck lays out the most important lessons in leadership, and particularly in leadership under fire. One of the most important issues facing the U.S. is the savings and wealth of individuals. 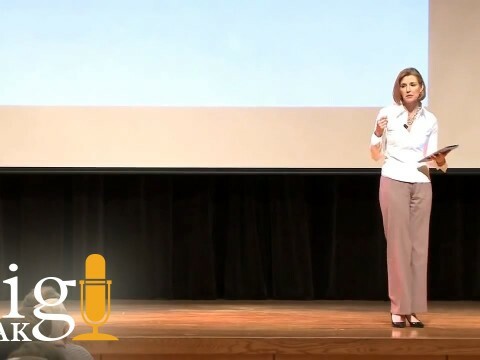 Offering insights gleaned from two decades on Wall Street, and running two of the largest wealth management businesses in the world, Sallie Krawcheck offers an insider perspective into what works and what doesn’t in investing, saving and navigating Wall Street. In this talk, she points to conventional wisdom that no longer works, continuing areas of risk in the industry and a path forward for the industry and for navigating the industry. The U.S. is in the midst of a financial planning crisis and nowhere more so than among women. Women live on average six years longer than men, but save just two-thirds as much for retirement. The causes are widespread, from earning less than men at every stage of their careers to outsourcing financial management to the men in their lives. For women’s groups – Krawcheck brings practical advice and tips, learned both from her business background, as well as from her own personal experience, for women at every stage of their lives. For businesses – The business opportunity that this presents is significant, but it’s not as easy as putting a pink bow on the checking account. Many firms have failed in the pursuit of women. Krawcheck offers insights into this important and growing market, which derive from her business as well as her personal experiences. As a top-ranked research analyst, a chief financial officer and senior manager in financial services over the past 20 years, Sallie Krawcheck has an unmatched perspective on the financial services industry. It is an industry whose future is uncertain, given stepped-up regulation, populist anger, an unfavorable operating environment and the increasing importance of technology. Unraveling the secular from the merely cyclical is challenging but crucial, both for the industry, as well as for the broader economy. Krawcheck does so with an insider’s knowledge and an analyst’s perspective. The wealth management business is the subject of much commentary by industry pundits…a good portion of it wrong. The business is in many ways stronger than conventional wisdom would have it—but faces some significant obstacles and headwinds that if not addressed will have a meaningful impact on the business (as well as its cousins, the asset management and research businesses). Having run two of the largest wealth management businesses in the world, Sallie Krawcheck offers insider insights, many counterintuitive, into the business that financial services professionals will find useful as they participate in, partner with or serve that business. Sallie L. Krawcheck is the Chair of Ellevate. Ellevate Network is the global professional woman’s network, with thousands of women from across industries and around the world. Ellevate Asset Management has partnered with Pax World on the Pax Ellevate Global Woman’s Index Fund, the first and only mutual fund of its kind, investing in the 400 top-rated companies in the world for advancing women. These businesses are united in the recognition that investing in women is simply smart business. Krawcheck is the past president of Global Wealth & Investment Management for Bank of America, the largest wealth management business in the world, at $2.2 trillion in client balances. Its operating businesses include Merrill Lynch and US Trust. 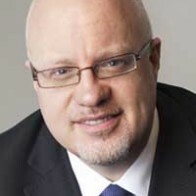 Integrating and launching the innovative MerrillEdge, Merrill Lynch’s on-line offering. In addition, alone among senior Wall Street executives, Krawcheck reimbursed individual investor clients for a portion of losses incurred during the financial downturn from poorly performing products sold by Citi and, later again, at Bank of America. Prior to joining Bank of America, Krawcheck was the chief executive officer and chairman for Citi Global Wealth Management, responsible for the Citi Private Bank, Citi Smith Barney and Citi Investment Research. During her time at Citi, she was also a member of the senior leadership committee and executive committee. Krawcheck joined Citi in October 2002 as chairman and chief executive officer of Smith Barney, where she oversaw the global management of the Smith Barney and Citi Investment Research businesses. 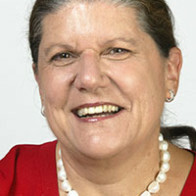 In 2004, she was appointed chief financial officer for Citigroup. In this role she was responsible for a number of asset dispositions, including the sales of Travelers P&C and Citi Asset Management. Krawcheck was recently named number 9 on Fast Company’s “100 Most Creative People 2014” list, as well as one of “10 Up and Coming Leaders to Watch” by Entrepreneur Magazine. 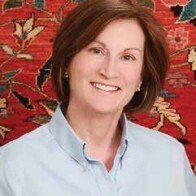 During the research scandals, Fortune Magazine called her “The Last Honest Analyst” and noted that hers was the most influential voice for research quality and integrity. 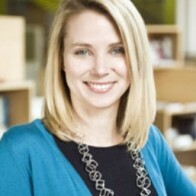 She has been listed as one of Forbes’ and Fortune’s “Most Powerful Women” in business and U.S. Banker’s top “Woman to Watch.” She is a past recipient of CNBC’s “Business Leader of the Future Award,” was one of Time magazine’s “Global Business Influentials,” Fortune’s “Most Influential Person Under the Age of 40” and an “Institutional Investor” top CFO in financial services. She was recognized by the World Economic Forum as one of its Young Global Leaders and has been lauded as an exceptional top female business speaker for businesses and associations. A native of Charleston, South Carolina, Krawcheck attended the University of North Carolina at Chapel Hill on the Morehead Scholarship and graduated in 1987 with academic honors in Journalism and Political Science. In 1992, she received a Master of Business Administration from Columbia University. Sallie – was the belle of the ball. Everyone loved her, even the hard-core males in the audience. She was genuine, so eloquent and handled the audience brilliantly. Definitely one of the best speakers we have ever had. Just wanted to send you a quick note to let you know that Sallie was fantastic at our event yesterday. She was warm, funny, insightful and very relevant to our audience. We were thrilled with her keynote. Thank you for an electrifying presentation to our members last week at our annual convention. The feedback is overwhelmingly positive, and has initiated many thoughts, ideas and projects consistent with our overall effort to change the conversation about diversity within our industry. I hope that your ears are still burning today in light of how many plaudits are still rolling in from students, alums, faculty/staff, and friends who were fortunate enough to be able to hear your remarks at our fifth annual NYC Conference. Simply put, you hit it out of the park in terms of authenticity, insights, and delivery.